Food is often a great reason for travel and for providing an opportunity to experience new cultures from a very tasty perspective! One such culture rich in food experiences is the European country of Georgia. 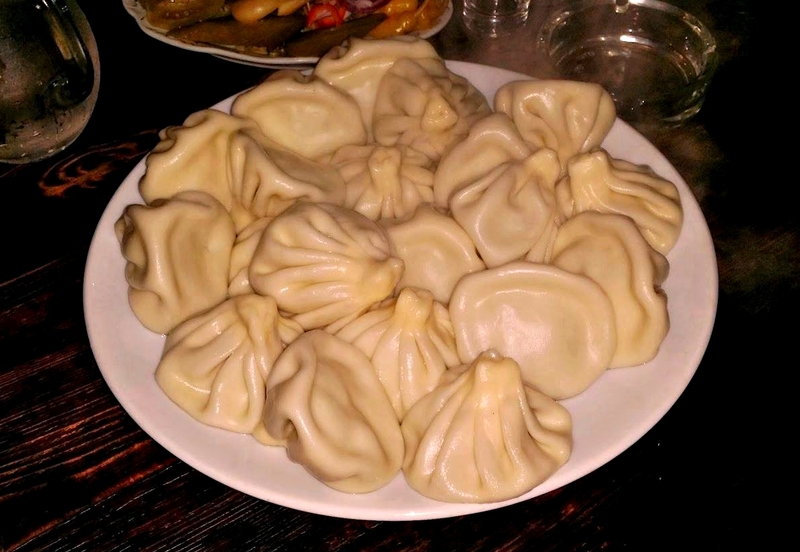 If you visit Georgia and ask the locals which specific dish you should try foremost, the first shout out will be “Oh, you must try Khinkali“. 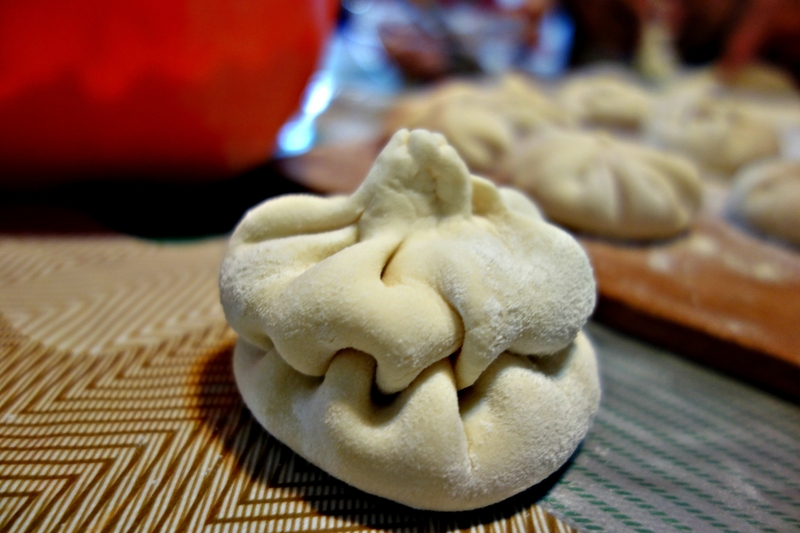 Hard to pronounce but delicious to eat, Khinkali can be described as giant dumplings! It’s a dish which originated from the Georgian mountainous regions. The fillings of Khinkali vary by locality. The traditional Khinkali includes meat (lamb or beef and pork mixed), but vegetarian fillings of mushroom, potatoes and cheese are also available. But did you know there was an art to eating Khinkali? Firstly, you hold the ‘crown’ (typically not eaten) of the Khinkali with your right hand, and lift the bottom part with your left hand, so it’s upside down. Slowly and carefully, bite a small hole in the Khinkali and drink the delicious juice inside. Then bite in and enjoy the rest! Ordering Khinkali at a restaurant is done by asking how many you would like to eat? 5 to 7 is considered a large meal (for some J ). Using utensils, like a fork, is not considered right and polite either! So, make sure you roll up your sleeves and dig in to a delicious plate of Khinkali while in Georgia. Best enjoyed with an ice cold Natakhtari Beer (one of many great Georgian beers to try). 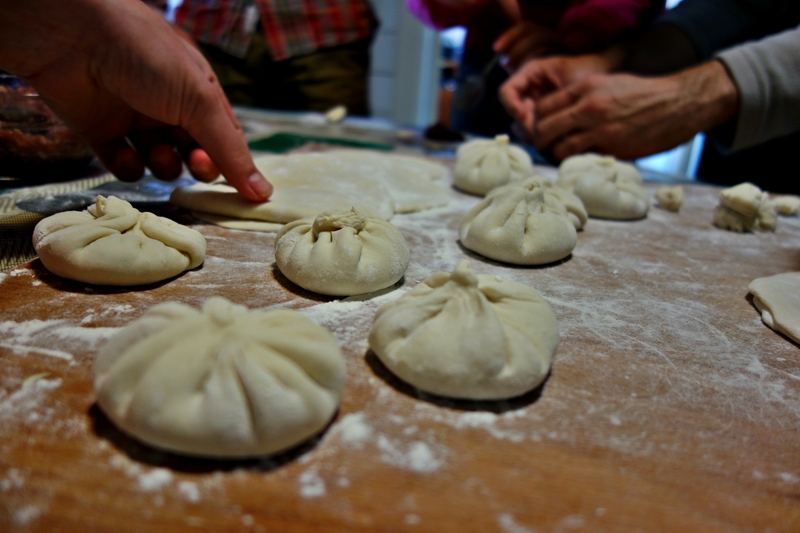 For tips on where to enjoy the best khinkali in Tbilisi you can ask our knowledgeable team at Envoy Hostel Tbilisi. 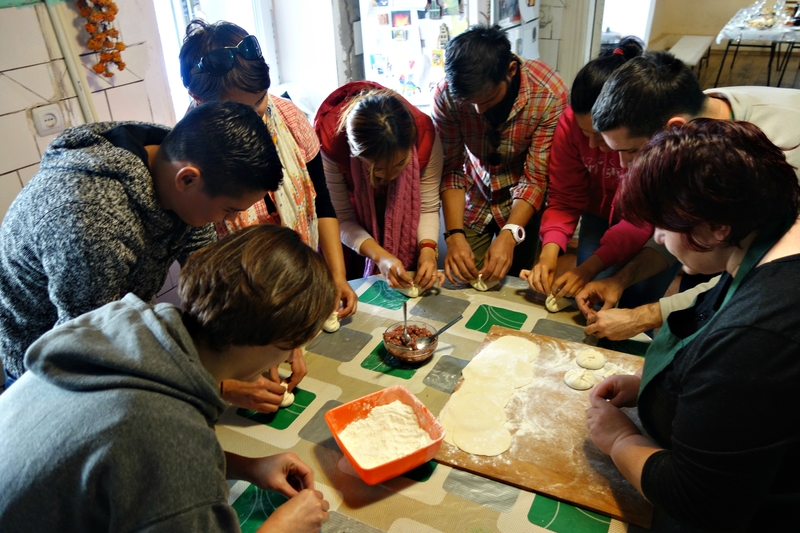 And if you would like to try your hand at learning how to make Khinkali, best to join Envoy’s Embracing Georgia Tour.